A comprehensive electronic fan deck tool offering 1020 vibrant colors highlighted in a four base system from pastels and tints to mid-tones and deeps. 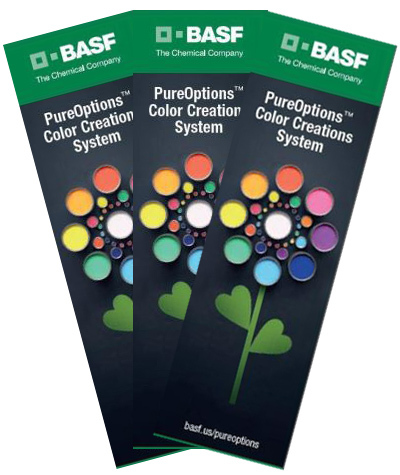 The Pure OptionsTM Color Creations Systems features an expanded range of color formulations based upon Pure OptionsTM eco-colorants low VOC colorant line, in tones and hues appealing to color designers, architects and specifiers. Now you can find a color to match your existing surface.